The Former President of the Federal Republic of Nigeria, President Olusegun Obasanjo (GCFR), approved the Nigerian Space Policy and the implementation of the space programs in Nigeria. The space policy details the guidelines and strategies to be adopted in the development of indigenous capabilities in space science and technology aimed at helping Nigeria participate actively in the global stage of space exploring nations. The Nigerian space policy gave rise to the establishment of National Space Research and Development Agency (NASRDA) in April 1999, under the Federal Ministry of Science and Technology, with Professor Robert Ajayi Boroffice (OON) as its pioneer Director General (DG). The mission of NASRDA is to vigorously pursue the attainment of space capabilities and the enhancement of the quality of life of mankind through space related research and development (R&D), capacity building in the fields of science, engineering, space law and administration for sustainable national development. To achieve the set objective of making space science technology, research and development a key strategy for sustainable national development, NASRDA put in place an institutional framework for the successful and sustainable implementation of the Nigerian space policy. In this regard, a multi-institutional framework was adopted and specialized centers with well-defined mandates were created across the country. This gave rise to the creation of NASRDA centers and the Center for Basic Space Science (CBSS), an activity center of NASRDA charged with the mandate of astronomy, astrophysics and basic space science development in Nigeria. The Centre for Basic Space Science, Nsukka, Enugu State. The National Centre for Remote Sensing, Jos, Plateau State. The Centre for Satellite Technology Development, Abuja. The Centre for Geodesy and Geodynamics, Toro, Bauchi State. The African Regional Centre for Space and Technology Education, Ile-Ife, Osun State. The Centre for Space Transport & Propulsion, Epe, Lagos State. The Centre for Atmospheric Research, Anyigba, Kogi State. The Zonal Advanced Space Application Laboratory, Kano, Kano State. Cooperative Information Network, Ile-Ife, Osun State. Basic Space Science in Nigeria started with the effort to set up Astronomy Observatory in Nigeria, dating back to 1962. 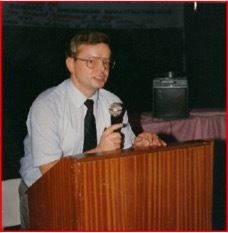 Prof. Gaustard and Prof. Hans Haubolt introduced the teaching of Astronomy and Astrophysics, in the University of Nigeria. Prof. S.E. Okoye, the first Nigerian Astronomer took over this vision and established a Space Research Centre Project (1978-89) in Nsukka, Nigeria, carrying out Postgraduate Research in Astronomy and Cosmology. The idea to establish the Centre for Basic Space Science (CBSS) in Nigeria was catalysed by the United Nations Workshops in Basic Space Science in 1991. This was followed by paper presentation titled “Basic Space Science and Technology in Nigeria, (preparations for a take-off)” by Professor P.N. 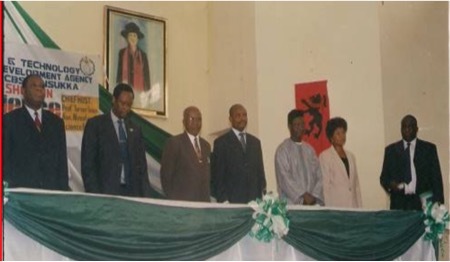 Okeke FAS, in a public lecture organized by the Nigerian Academy of Science, Lagos, in 1999. 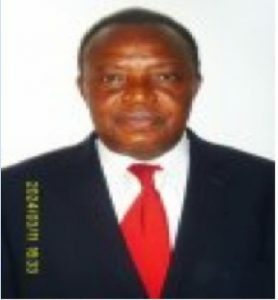 Pius N. Okeke, an emeritus Professor of Astro-physics, expanded the scope of the CBSS to include in addition to Radio Astronomy; other areas of Basic Space Science such as: Atmospheric Sciences, Solar Physics, Optical Astronomy and Solar Terrestrial Interaction studies. The Center for Basic Space Science (CBSS) was established in 2001 as one of the activity centers of NASRDA. It is situated in bookshop building of University of Nigeria Nsukka and has a permanent site at TTC road Eburummiri Nsukka Enugu State. It is worthy of mention that the NASRDA-Center for Atmospheric Research (CAR) Ayingba was formally created as an out-station of CBSS. Over the years of operation, the Center for Basic Space Science has witnessed different developmental strides, guided by dynamic leadership structure and dedicated directors at the helm of affairs. The center has gone through two transitional directorial positions held by devoted and capable hands both in academia and space industry as shown below. NASRDA – CBSS Past and Present Directors. 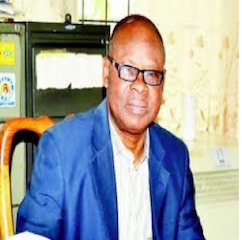 Emeritus Prof. P.N Okeke Pioneer Director 2001 – 2012. Late Prof. F.E. 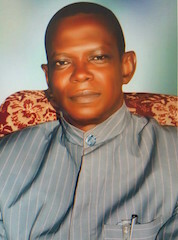 Opara Past Director 2013 – 2017. Dr. B.I. Okere Ag. Director 2017- Present. Prof. Hans Haubolt was in charge of UN outerspace affairs, (1991-2011). He introduced the concept of Basic Space Science and played a great role in CBSS development. 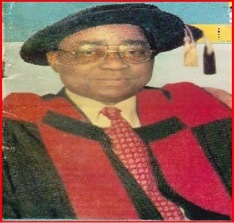 Late Prof. Samuel Ejikeme Okoye, B.Sc. Hons. (London), Ph.D (Cantab), FAS, FRAS, FNIP. Pioneer Director, Nnamdi Azikiwe Space Research Center Project, Nsukka (1985-1989). Prof. P.N. 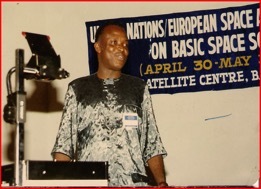 Okeke, delivering a speech at the first UN workshop in Basic Space Science in 1991 in India. Pioneer Director of CBSS, Prof. P.N. 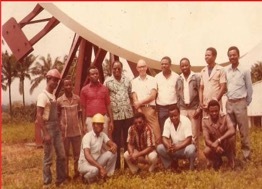 Okeke (standing 3rd from left) in a group photograph with the pioneering team that installed the 10M Radio Telescope at the Nnamdi Azikiwe Space Research Center, UNN.